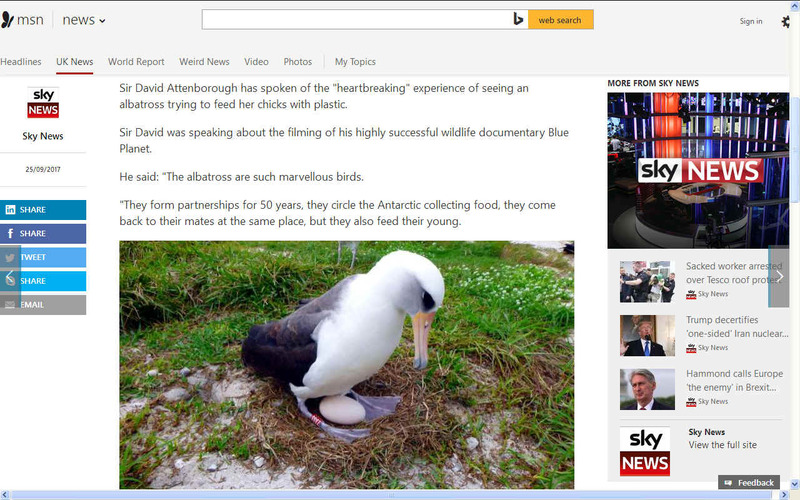 SIR DAVID: "Heartbreaking" sight of albatross mother feeding young plastic. 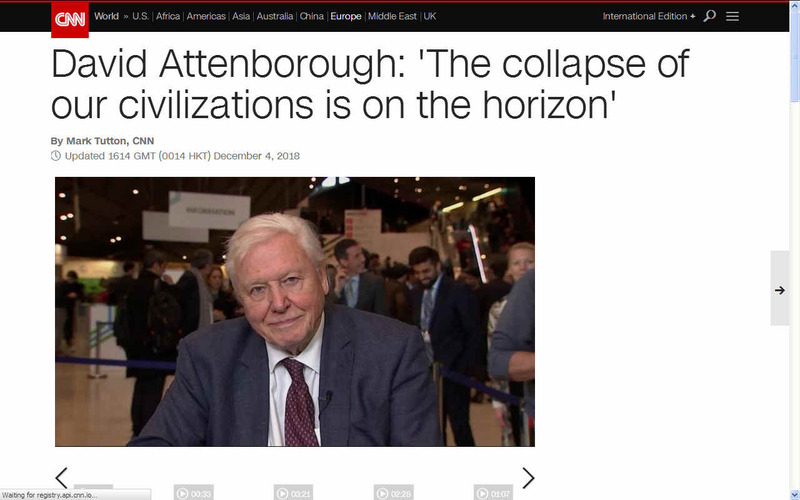 "And there's a shot of the young being fed and what comes out of the mouth, of the beak of the adult"
CNN DECEMBER 3 2018 - Renowned nature broadcaster David Attenborough has told world leaders that climate change could lead to collapse of civilizations, and much of the natural world. Sir David Attenborough at #COP24: "If we don't take #ClimateAction, the collapse of our civilisations and the extinction of much of the natural world is on the horizon." The conference ended on December 14. ROYAL ALBATROSS - Prince Charles and Head Ranger Lyndon Perriman inspect the nest of a Northern Royal Albatross and it's six week old chick during a visit to Taiaroa Heads Albatross Colony outside Dunedin March 6, 2005. 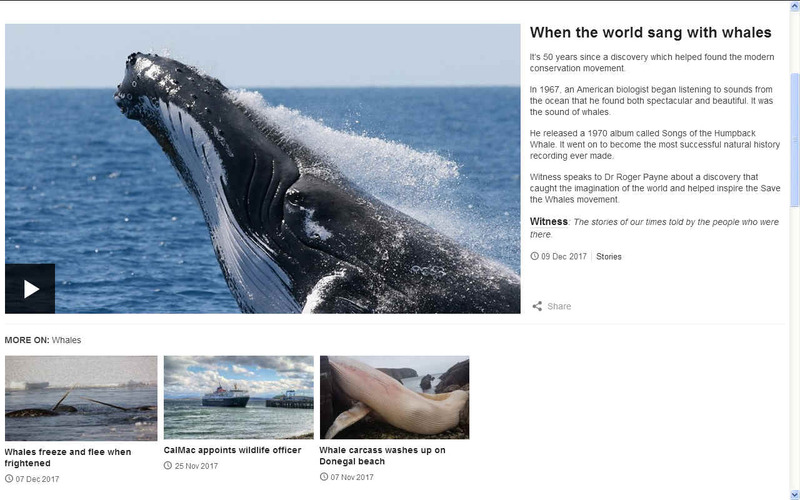 The Prince of Wales has spoken out on marine litter many times and has teamed up with Dame Ellen MacArthur to support research and awareness that may reduce plastic packaging, to get consumers and product designers thinking about the problem. 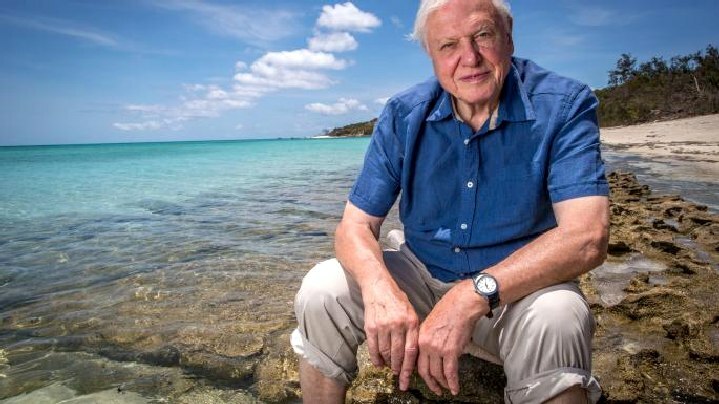 The eight million tonnes of plastic dumped in the oceans each year are a greater problem than raw sewage, ­according to Sir David Attenborough. Whereas sewage quickly breaks down, plastic remains in the sea for hundreds of years, splitting into tiny toxic particles eaten by birds and fish, the broadcaster said. He is supporting the Plastic Oceans campaign, based at Brunel University London, which aims to create the first research centre dedicated to studying the problem of plastic pollution. This website is provided on a free basis as a public information service. copyright © Cleaner Oceans Foundation Ltd (COFL) (Company No: 4674774) January 2019. Solar Studios, BN271RF, United Kingdom. COFL is a charity without share capital.